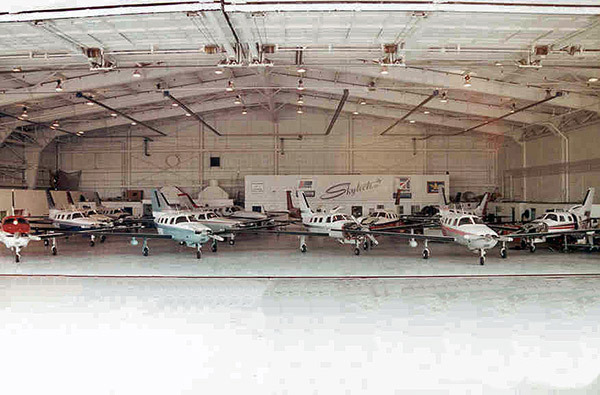 This unstaged picture of our Service Department hangar at the Martin State Airport in the early 1990’s shows just how active we were in the PA-46 community. Twelve PA-46 aircraft are joined by a Cessna twin to make quite an impressive site – and stacking job! From basic inspections to complete rebuilds, we tackled it all. This commitment to the PA-46 product line continues today with customers balanced between our Rock Hill, South Carolina and Westminster, Maryland facilities. 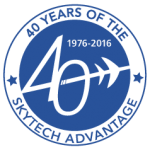 As we celebrate our 40th Anniversary in 2016, we’ll occasionally look back through the years for snapshots of our past. We hope you enjoy the stroll down memory lane and are looking forward to making new memories in the future. 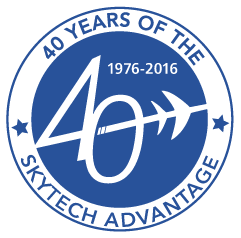 Categories: Blog | Tags: Aircraft, AIRPLANES, aviation, FLASHBACK, HANGAR, HISTORICAL, OLD SKYTECH PHOTOS, PA46, Piper, Skytech, SKYTECH HISTORY, and Skytech inc. This entry was posted on Wednesday, February 24th, 2016 at 2:14 pm. Both comments and pings are currently closed.